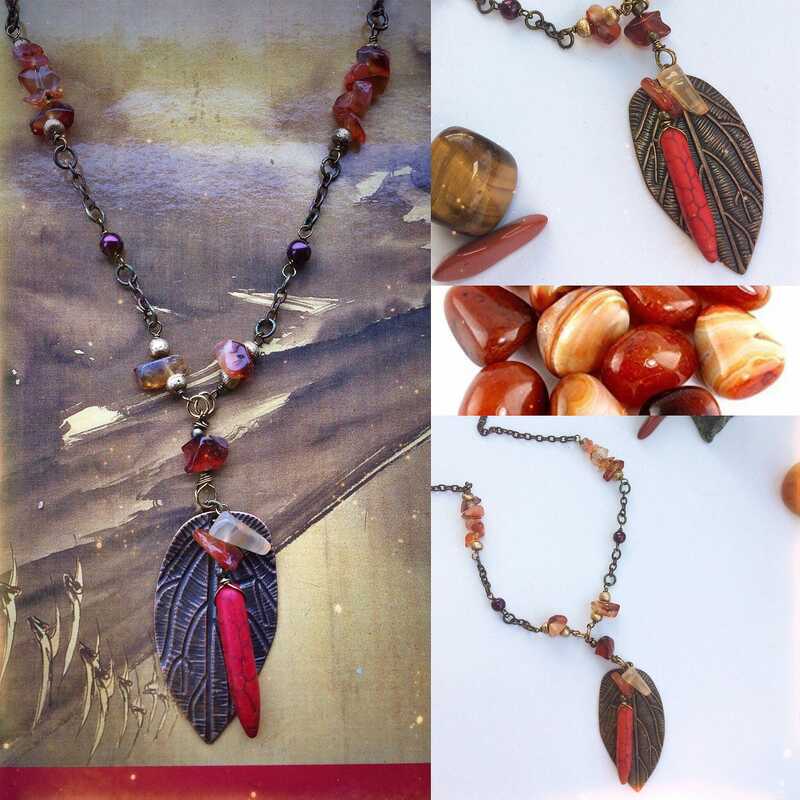 Copper Charm Necklace with Leaf Pendant - adjustable length from 50cm/20"
This necklace is a lovely mix of warm autumnal colours in red, orange, gold and copper. 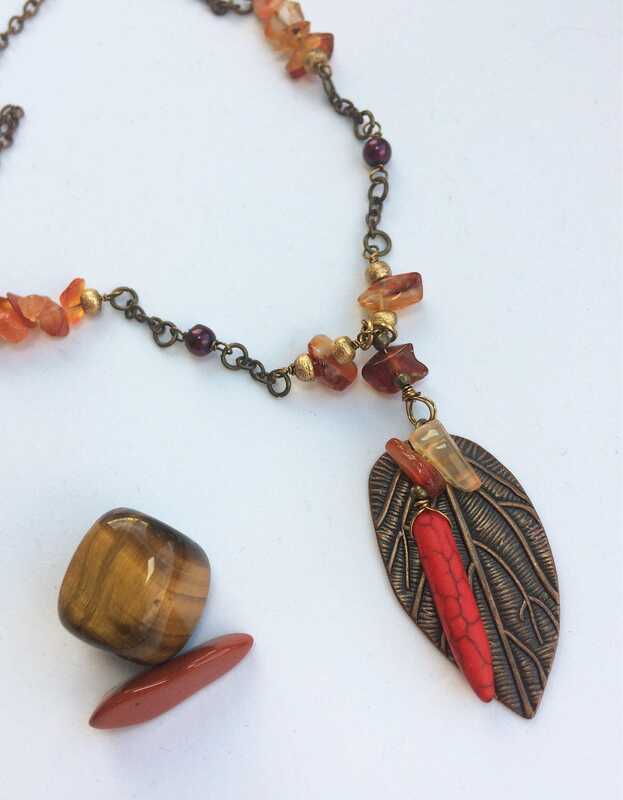 It has a embossed leaf pendant (4x2cm) strung with a red howlite bead and carnelian gemstones. 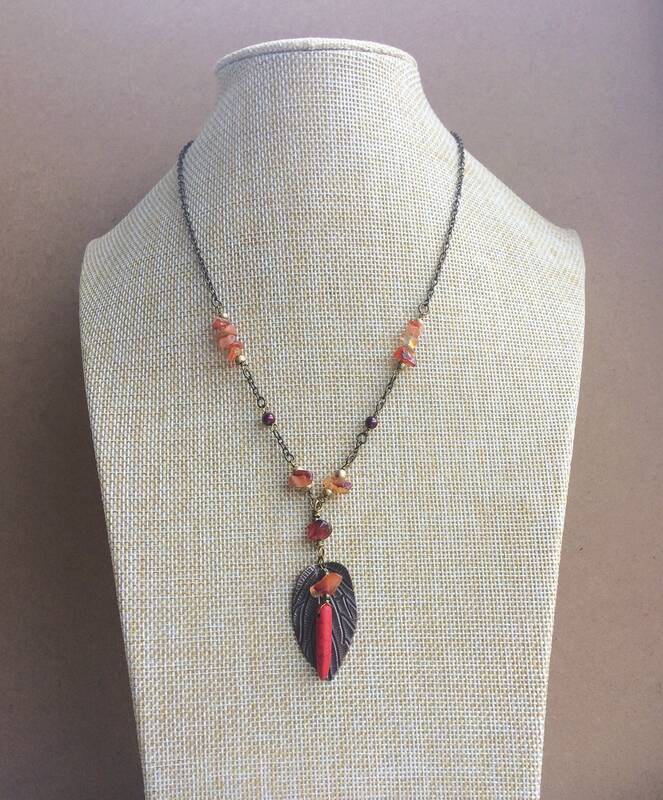 The necklace is made up of wire-wrapped beaded sections of carnelian semi-precious gemstones, itself a rich array of oranage and red colours. 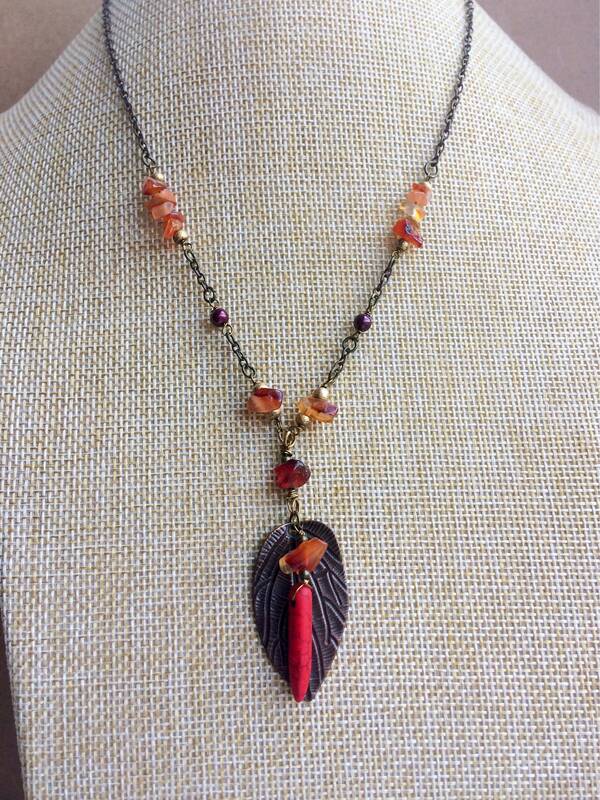 This is complimented by gold and berry metallic red wood and glass beads. 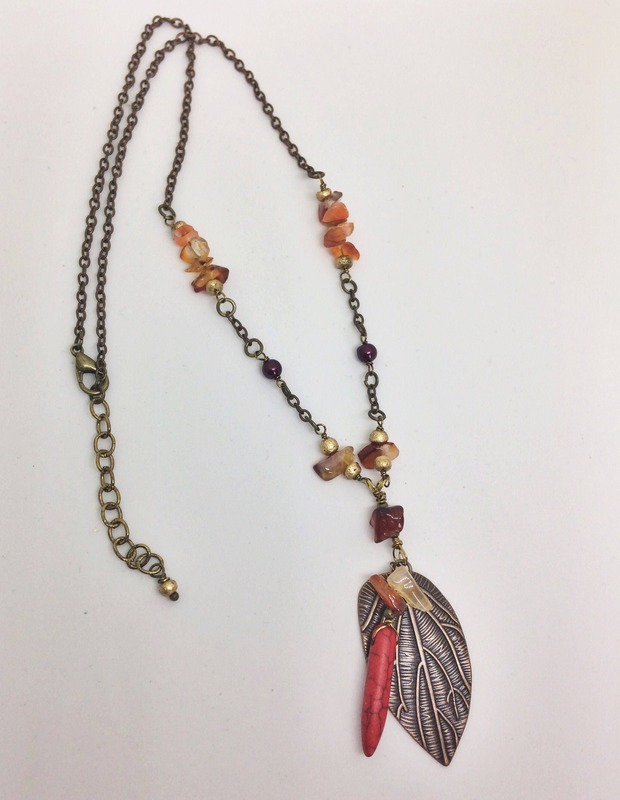 Copper coloured curb chain finishes the necklace with an adjustable length closure with a antique gold coloured lobster clasp. 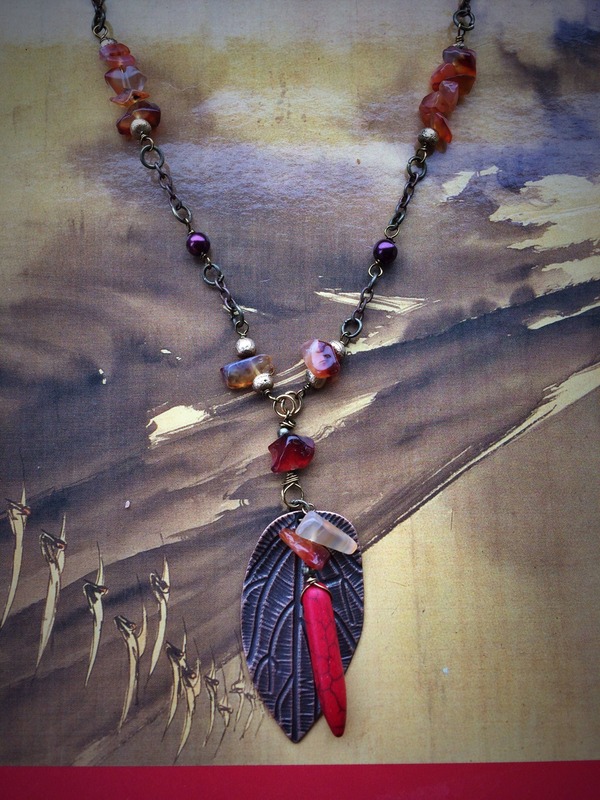 With the extender chain the length is 48cm-53cm, so you can wear it however you prefer as a long charm necklace or just sitting on the collar bone. 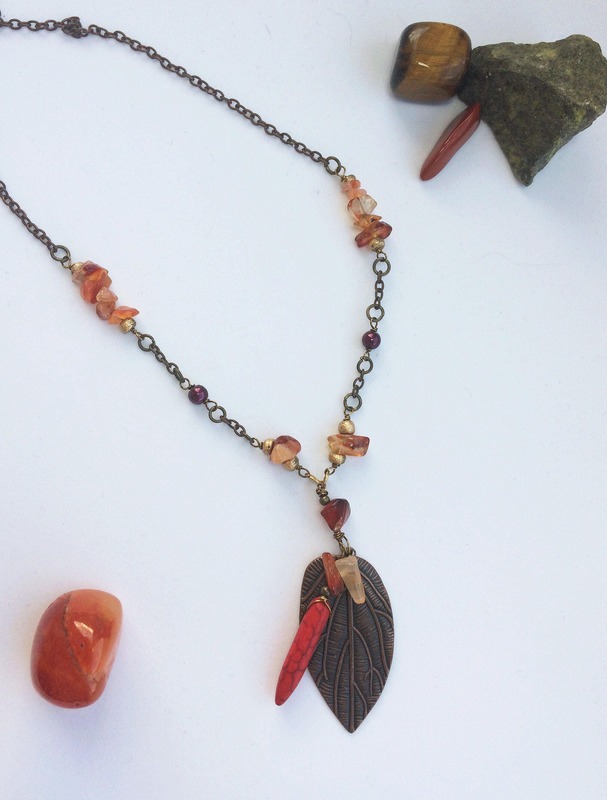 Carnelian: Excellent for restoring vitality, motivation and stimulating creativity. 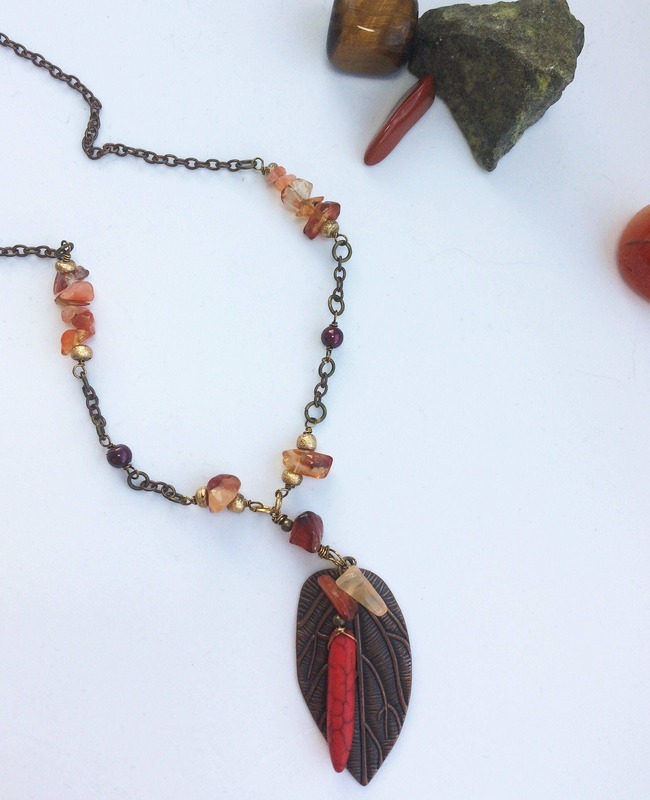 Carnelian gets to the bottom of what makes you tick, overcomes negative behaviour patterns and encourages steadfastness. It sharpens concentration and mental lethargy. 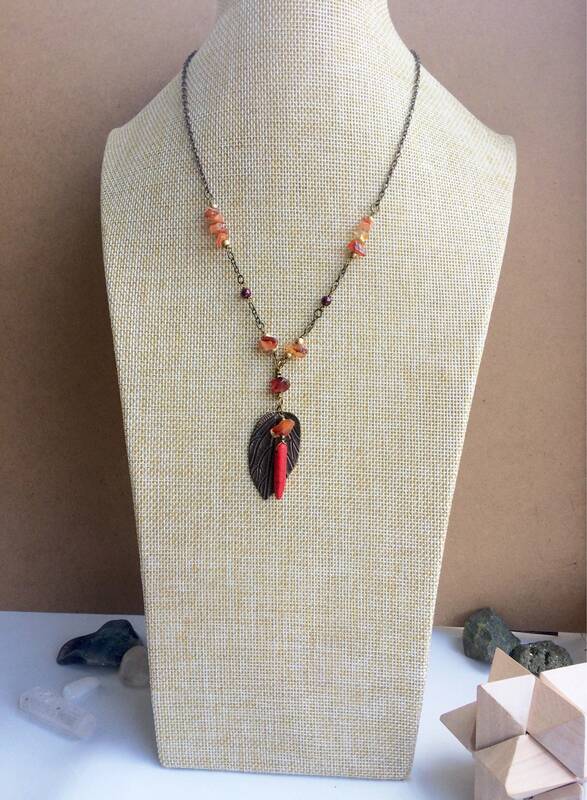 Emotionally this stone is a powerful protector against envy, rage and resentment, yours and other people's. It calms anger and banishes emotional negativity, replacing it with a love of life.